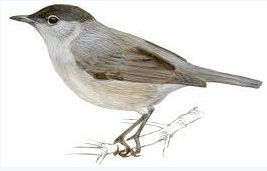 The blackcap is a warble of sober and discreet color, agile flight and active and restless behaviour. Its delightful fluting song has earned it the name ‘northern nightingale’ or “meridional soprano”. Although primarily a summer visitor, birds from Europe are increasingly spending the winter in the UK.